Many have heard of speed dating, but very few of speed business networking. Malta BNI recently held one such session – probably the first-ever in Malta. Like its speed dating original concept, speed business networking is a meeting format designed to accelerate business contacts, introducing businesses to each in a short and controlled span of time. 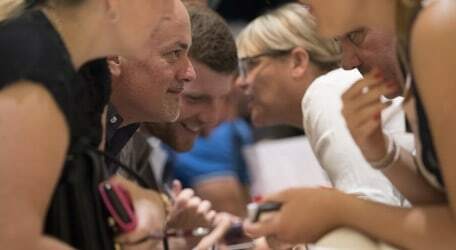 The round-robin approach to meeting potential business suitors had 95 Malta BNI members and visitors meeting and getting to know each others’ businesses in a span of an hour. Malta BNI national director David Bullock and Michael Cuschieri, a businessman and a BNI member in England, conducted the session in which members from the five BNI chapters in Malta participated. BNI de Redin Chapter President Gordhan Mohnani and together with his chapter coordinated the event. Visitors were introduced to each of the five chapters. Perit Mark Arrigo from Verdala Chapter, Mark Lightfoot from de Paule Chapter, Mark Azzopardi from de Redin Chapter, Marco Audino from Pinto Chapter and Conway Wigg from Wignacourt Chapter shared their respective business experiences about how BNI has helped their respective businesses. Nadine Cuschieri delivered an interesting educational slot about “Networking – tricks and suggestions”, followed by a social media presentation by Michael Cuschieri. 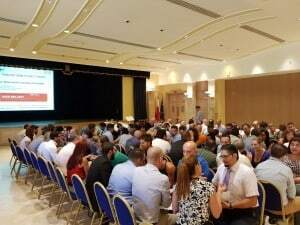 Speed daters seeking a companion try to narrow down their choices by eliminating the unsuitable but, conversely, Malta BNI members took this opportunity to broaden their connections by increasing their respective business exposure.